We come to you in prayer, knowing You are always there. Joyfully, your songs we sing, praising You in everything. Keep us safe by night and day, as we travel on our way. Teach us that it’s when we share, others learn about your care. Smile on us each time we give, for that's how you would have us live. 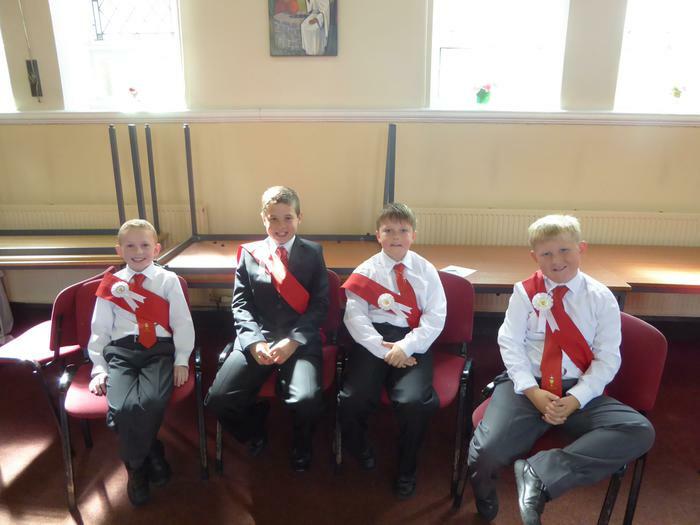 Pupils in Year 4 received the Sacrament of Reconciliation for the first time on Thursday 6th December 2018 at St Patrick's Church. 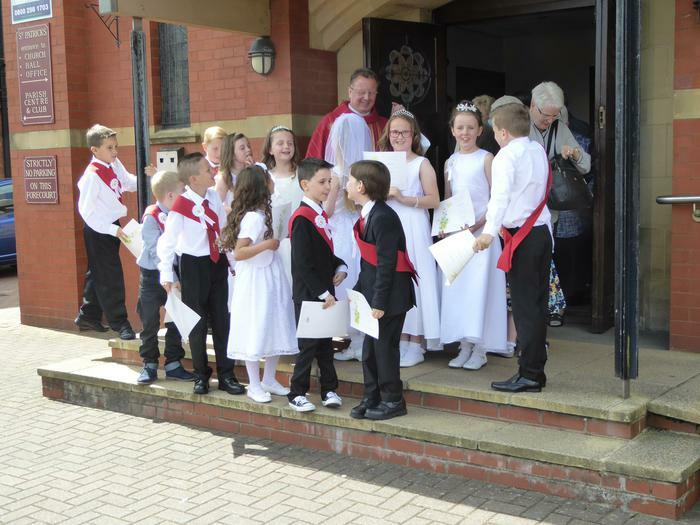 We continue to hold our pupils in prayer as they prepare for the Sacrament of the Eucharist in May 2019. 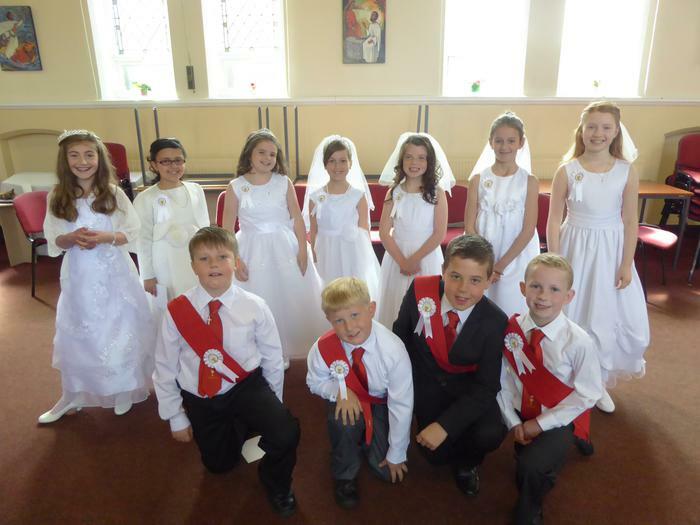 We are looking forward to special celebration Masses on 6th, 13th and 20th May when many of our Year 4 pupils will make the Sacrament of the Eucharist. Please keep these children in your prayers. 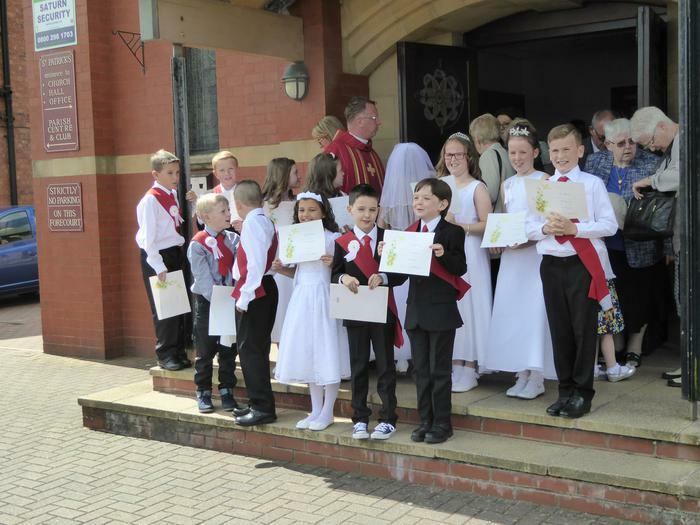 We celebrated together on the Feast of Pentecost and received Confirmation and Holy Communion. 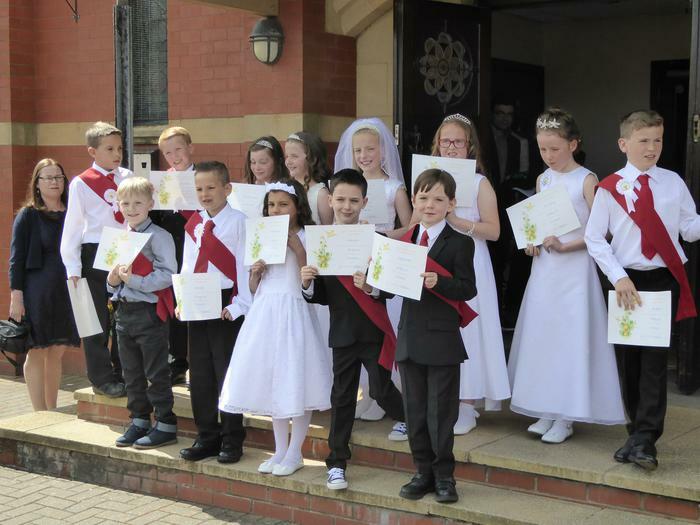 Thank you to Fr Mark, our catechists and teachers who have prepared us for this special day. 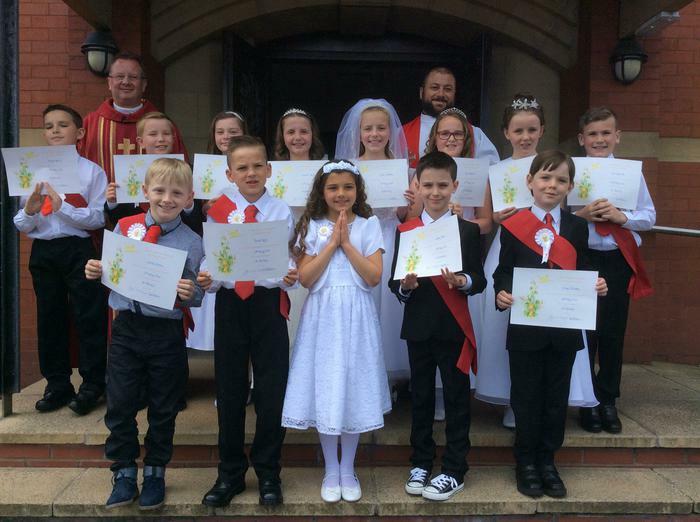 We celebrated the Sacraments of Confirmation and Holy Communion on the Feast of the Holy Trinity with Bishop Malone and Fr Mark. 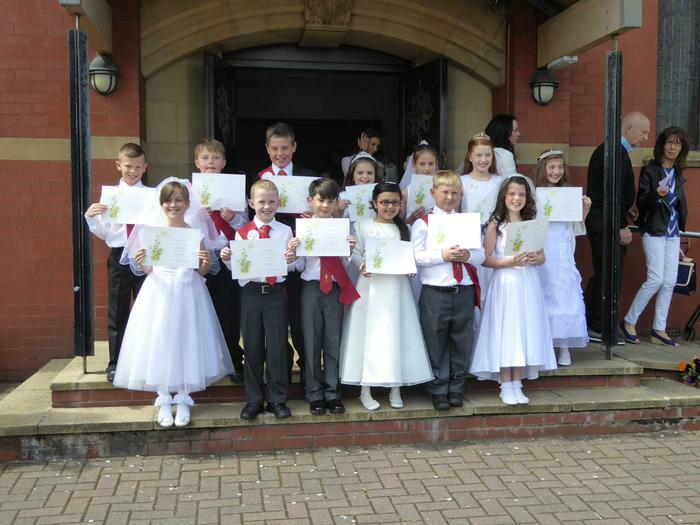 The sun was shining and we enjoyed a special Mass with our families and friends. 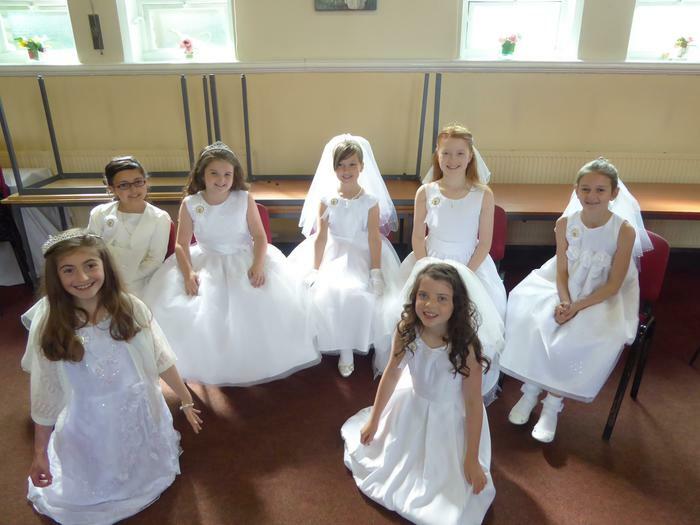 We look forward to celebrating again on Sunday 19th June with our classmates who are in St Marie's Parish.